Have you ever been in a situation when you tried to go to sleep but started experiencing a tingling, crawling, or itching sensation in your legs? These sensations can be so strong that they can make you get out of your bed and walk around for a few minutes. This walking can make those sensations go away but they come back once you start to sleep again. Do you ever wonder what it is? You may have a neurological disorder called restless legs syndrome (RSL). Exactly what causes it is not clear. If your doctor fails to identify a cause, your condition is termed as "idiopathic" restless legs syndrome. Many studies have identified some specific genes associated with this problem, and experts are of the view that this disorder can be genetic. You usually experience symptoms before you turn 40 if your restless leg syndrome is genetic. Here are some other answers to your question, "What causes restless legs?" Research shows that RLS has something to do with part of the brain called the basal ganglia, which uses dopamine, a neurotransmitter, to control muscle movement and its activity. In other words, dopamine serves as a messenger between your brain and your nervous system to help coordinate and regulate movement. Any damage to nerve cells will limit the amount of dopamine in the brain, which in turn will lead to involuntary movements and muscle spasms. Since the levels of dopamine decline naturally towards the end of the day, you are more likely to deal with the symptoms or RLS in the evening. You may have an underlying health condition causing you to have restless legs. If your RLS is a complication of another underlying health condition, it is called secondary restless legs syndrome. People with iron deficiency anemia may develop restless legs syndrome. Similarly, you may have problems related to restless legs if you have long-term health condition, such as diabetes, chronic kidney disease, rheumatoid arthritis, Parkinson's disease, fibromyalgia or underactive thyroid gland. While you may have restless legs syndrome for a different reason, certain factors can make symptoms worse. The most common triggers include certain medications, such as antipsychotics, antidepressants, some antihistamines, calcium channel blockers, and lithium. Other possible triggers are stress, obesity, excessive smoking, lack of exercise, and alcohol consumption. It is also common to develop restless leg syndrome during pregnancy due to hormonal changes – this usually happens after week 27 of pregnancy until birth. It is also possible to develop this condition for the first time towards the end of your pregnancy. But no worries, you will become normal within 4 weeks after delivery. Now that you have answer to your question, "What causes restless legs syndrome?" it is important to understand what steps you can take to manage it better. You have several treatment options available, but most of them are used to ease your symptoms. An important thing about medication is that they do not prove effective for everyone. A drug that works for one person may offer no benefit for someone else. 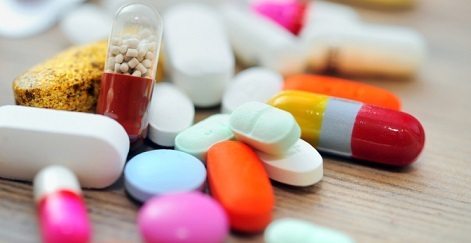 Here are some of the most commonly used drugs to treat restless legs syndrome. Dopamine drugs: Since lower levels of dopamine may well be the underlying cause of your RLS, you may consider taking dopamine drugs to fix the issue. These drugs act on the neurotransmitter to relieve your symptoms. The most common choices are Neupro, Mirapex, and Requip. Your doctor may also prescribe some others such as levodopa. Sedative medications: The most common is Benzodiazepines, which is a class of sedative medications used to improve your sleep quality. They may cause certain side effects, including daytime drowsiness. Your doctor may also prescribe narcotic pain relievers to alleviate pain. Anti-seizure drugs: Lyrica, Tegretol, Horizant, and other anti-seizure drugs or anticonvulsants may help keep things under control. Though without exact answer to what causes restless legs, there're some simple lifestyle changes to help in this regard. Some of these changes include establishing regular sleep patterns, beginning a regular exercise program, and limiting your intake of alcohol, caffeine, and tobacco. You may also consider learning relaxation techniques, such as yoga to relax your nerves and keep stress under control. This will help you sleep better at night. Keep in mind fatigue can make your symptoms worse, so it is important to exercise in moderation. You should also maintain good sleep hygiene and have a quiet, cool, and comfortable sleeping environment to get good sleep. You may also find some relief by trying non-drug treatments, like taking hot baths, receiving leg massages, or using a vibrating pad called Relaxis. When Can You Hear the Baby's Heartbeat?